When it comes to Android TV Boxes and Kodi XBMC Addons, things can get a little complicated regarding legality. This page is intended to clear things up. Is the DroidWorld Streaming Box Legal ? Absolutely. The DroidWorld Streaming Box is simply an Android TV Box. It connects to your TV and turns your TV into a Smarter TV, utilizing the Android platform. The Android Operating System is probably the most popular OS in the world. It allows you to do so many things, including; Downloading games and apps from the Google Play store (or from third parties), this means you can play Angry birds on your TV! As well as signing into your email accounts, Facebook and more (and receiving notifications onto your TV). Plus a lot more! Even though the DroidWorld Media HUBs are capable of many things, we tend to advertise the streaming part of it more. The reason for this is because streaming has become the next big thing. People are looking to cut the cords, big ugly antennas and dishes, as well as the bills. Android TV Boxes are capable of doing so, legally. The boxes are capable of utilizing NetFlix and other streaming services, as well as third party addons in the Kodi XBMC platform. What about Kodi / XBMC, is this software legal? Kodi / XBMC is a popular Media Library for Android. It allows you to import your own digital media files, through your network storage media and presents them in an elegant fashion with fan art, cover photos and descriptions. It also has the capability of doing the same with online media sourced through the internet. Kodi is open source and capable of being installed onto any Android TV Box. Third party developers have created apps to use within Kodi. Team Kodi is not affiliated with third party apps in their platform. (The same way that DroidWorld is not affiliated with any third party apps created for the Kodi platform). Kodi is 100% Legal to install and use. It is important to note that DroidWorld Streaming Boxes do not come “pre-loaded” with any third party apps, channels, movies or content what so ever. The reason for this is because DroidWorld simply cannot analyse, test or find out whether the THOUSANDS of third party apps within the Kodi or XBMC platform are authorised to retrieve the media they find on the world wide web, it’s simply not possible (we’ll get more into that soon). It is not DroidWorld’s responsibility, nor in DroidWorld’s control, to know whether the media that a third party app found on the public domain is authorised for viewing. We are not affiliated with such services or apps. That’s why we don’t pre-install them onto our devices. Instead, users are able to download and install (at their own discretion) third party apps into the third party Kodi app for Android, through a third party “wizard installer”. Our advertising usually consists of media coming from sources such as FilmON.tv (whom provides free and legal channels from around the world (such as BBC), as well as movies and tv shows). Our advertising may also include content of which is coming from legal free to view (on-demand) services, from providers such as PLUS7, TENPLAY and more. Our advertising may also include content such as streaming (paid) movies from NetFlix for Android or free streams from other third party apps. The advertising simply shows what you can do with your Android TV Box. Some third party apps which the user can install into Kodi search the public domain (public internet) for streams. The same way that if you were to search Google for “example tv show “or “music video stream” and click and watch the content that Google retrieved for you. The stream could infact be hosted on Google Video, YouTube, Daily Motion or other online hosts. Therefore in searching the public domain for streams, you are accessing media which is readily available to the public already on a PC, laptop or mobile phone (literally any device you own which has access to the internet). It is assumed that this is absolutely LEGAL. For example, if you were to search a “Tube” website for adult content, you will be given thumbnails of videos which were found and available for you to stream. You, as a user, are not required to contact the website, uploader, or host and have them send you authorization documents BEFORE you click on that stream or video (in fact even if you did request these, you probably wouldn’t receive a response). It is the responsibility of the website and host to ensure that they are not hosting any content which they do not own or which infringes copyright. It is the responsibility for content owners to take down content from unauthorized sites. Billions of people all around the world use their internet to search for streams and media content to view. To our knowledge, there has never been a case from anywhere around the world, which states that simply searching the internet and clicking on an available stream is illegal. To our knowledge, it is only illegal to share, contribute or download and save content which you do not own. Even though the DroidWorld Media HUBs don’t come pre-installed with these third party addons, if you as a user decided to install third party Kodi addons onto your device through a third party wizard, those third party addons DO NOT store any content, you are NOT saving any media, you are NOT sharing any content, they do NOT use the P2P protocol, and you are NOT doing anything illegal! You are simply viewing what you could already be viewing on your mobile phone or PC’s browser by searching Google, but instead, you’re doing so on your TV. Recently, an interesting article published by CBC NEWS on February 22nd 2016 in CANADA, promoted a local Canadian seller who is a seller of Pre-Loaded/Fully Loaded Android TV Boxes with links to free media content. The title of this article is “Free TV for life? It’s here, and it may even be legal”. The word “may” was used so that CBC would not receive any headaches or be labelled as ‘promoting piracy’, though, it has recently become common knowledge that streaming media content from the internet IS LEGAL. Furthermore, some third party Kodi addons do not search the world wide web for streams. Some of them are linked to official sources such as PLUS7, TENPLAY, USTVnow, FilmON and other Official sources whom provide free and Official legal to view content. Other third party add-ons which scrape the internet for streaming sources are commonly referred to as “a grey area” and that’s why DroidWorld does not install any third party addons onto our devices. Users should install third party addons at their own discretion. We do not condone or encourage piracy in any way. DROIDWORLD is not affiliated with XBMC/Kodi or any third party applications within XBMC/Kodi. DROIDWORLD does not host, provide, archive, store, or distribute media of any kind. DROIDWORLD STREAMING BOXES do not come "pre-loaded" with any third party addons, channels or content what so ever. DroidWorld advertises what an Android TV Box is capable of. However, customers are able to download and install third party addons through a third party wizard program at their own discretion. Customers are also able to download and install NetFlix and other Android apps onto their device which give them access to streams. 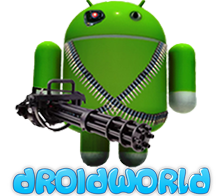 DROIDWORLD does not condone piracy or usage of third party applications which link to copyrighted material. The advertised Live Channels are from Legal sources such as FilmON.tv and USTVnow whom provide free streams with no subscriptions or fees. DROIDWORLD advises users to check third party applications before use, as to whether you &/or they are authorized & hold the applicable rights to stream & access the media content within that third party application. DROIDWORLD prohibits the use of its services for any purpose other than that of legal home entertainment, of which it was intended. DROIDWORLD does not sell media, content or channels. DroidWorld sells Android TV Boxes which utilize the Android Operating System. Third party apps including Kodi FilmON and NetFlix can be installed on any Android device, including DroidWorld Media HUBs. We operate in good faith.